This range of products includes awnings, sun screens, sliding shutters as well as facades. Hunter Douglas products include sun control systems that are built into the building architecture, enhancing the façade, while providing highly effective sun protection. Sun control systems are specifically designed to increase visual and thermal comfort while reducing energy use for cooling and heating. The products include sunscreen systems for buildings, as well as patio awnings and panelling for homes. There is a wide variety of products and solutions available and the functional benefits are endless. Multiple design options are also available and our branches can offer architects and designers with tailored design solutions. If you need any of the products installed for your business or home, be sure to contact us for expert advice and professional installations. 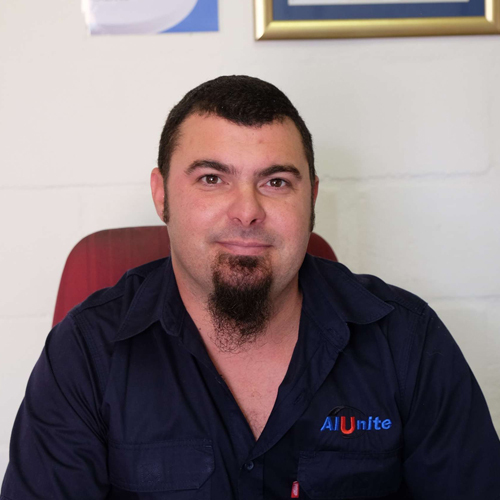 Owned and managed the first Alunite store that opened in Cape Town in 2006. Co-owner of Alunite Killarney Gardens that opened shortly afterwards. Owned and managed Alunite Parow. Joined the Alunite Franchise Office in 2008 and soon assumed the reins of managing the Alunite franchise.